Now that your little one knows how to identify simple shapes like circles, squares, and triangles, it’s time to advance to the next rung on the geometric ladder. 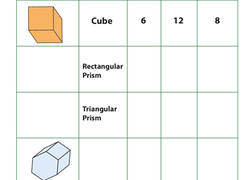 Our year three geometry worksheets introduce pyramids, cylinders, diamonds, and various polygon shapes, while also offering exercises related to simple fractions, line segments, symmetry, and congruency. 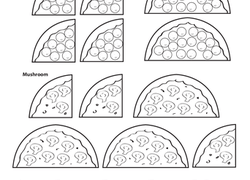 Since many of these worksheets require coloring and drawing, your child’s motor skills also will get a boost. 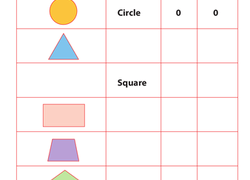 Kids get to know shapes better by counting their line segments, endpoints, and angles, and record the info in this handy chart.